In April of this year Nestor, who is also a natural leader, was elected to represent many destitute people, questioning the Greater Manchester Mayoral Candidates at a Housing Hustings about their plans for tackling the city’s desperate housing problem. We are looking forward to meeting Andy Burnham, Greater Manchester Mayor soon, and Nestor should be leading that meeting. Nestor is still being unlawfully detained at Brook House Detention Centre. His lawyer, Mervyn Cross of Duncan Lewis Solicitor says: "It appears that the Home Office has misled the Judge who sat to hear about Nestor's detention. The Home Office told the Judge there would be a decision on Nestor's Human Rights application by 21st July 2017. However, in a letter dated 21st July 2017, the Home Office informed Nestor that it was returning his application as the fee waiver was rejected. HIS APPLICATION WAS NOT EVEN LOOKED AT. I cannot reconcile this." Nestor's applications for Bail, Fee Waiver and Further Leave to Remain have been re-submitted to the Home Office. 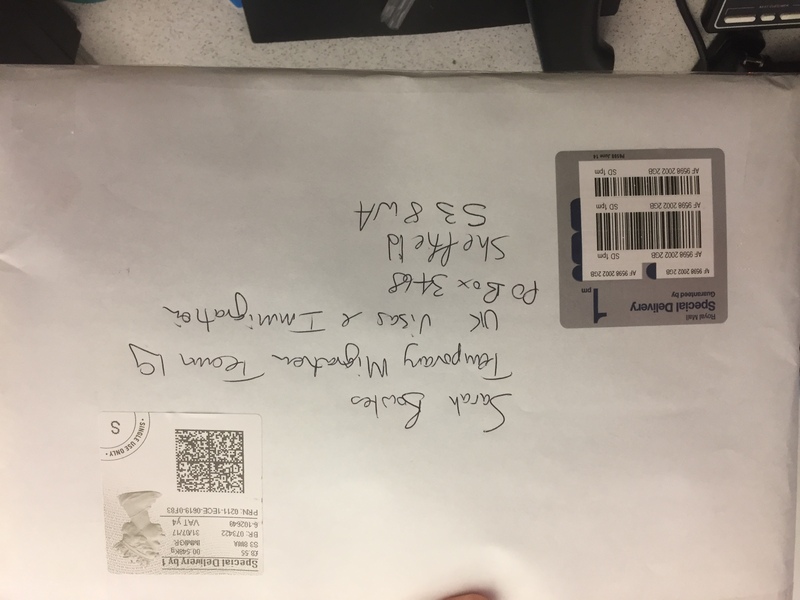 Click here to see the photo of the registered envelope containing all these documents that the Home Office will receive by 13.00 hours today. The earliest date the courts may hear Nestor's application for bail is this Thursday 4th August. His bail sureties remain on alert. Keep on signing and sharing Nestor's 38 degrees petition here. Nestor must be released immediately. Please circulate the link to this page far and wide. Sign the 38 degrees petition here, and tell all your networks to sign and share.